Chateau de Montifaud 150th Anniversary is a unique blend of six generations of cognac, released in a limited edition of 1,866 bottles to celebrate the year of 1866 in which the cognac house was born. The oldest cognac in the blend is from 1850, the youngest from 2005, and each represents the six generations of the Vallet family who have devoted their lives and expertise to producing cognac. 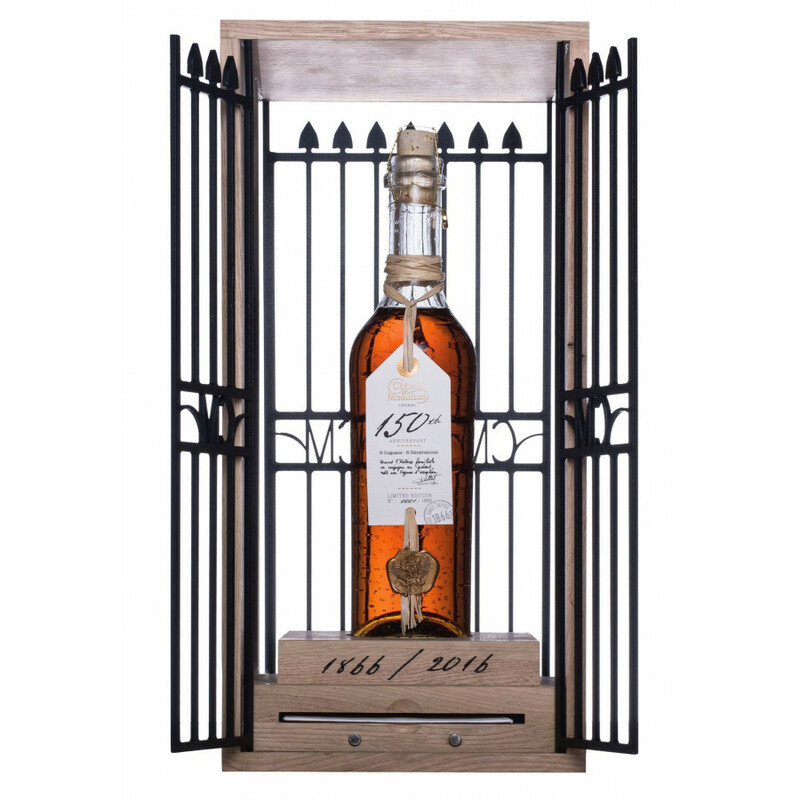 The cognac is presented in a bottle within a presentation case that symoblises the metal gates of the Paradis Cellar of Chateau de Montifaud. Each is finished with a hand-crafted wax seal and it's certificate with the number of the bottle. A wonderful cognac that will appeal to the connoiseur and the collector alike.